Several people have asked about what we have added to JPedal in the last year, and as we are moving the blog it seemed a good moment to reflect. We have a full-time development team working on JPedal so it has seen an awful lot of additions, enhancements, bug fixes and workarounds for PDF or Java issues. So here is my list of the top items we have been working on when not busy writing this blog…. made it much easier to programmatically control the viewer from your code and execute commands. Updated search so that you can display search in a text box as Acrobat 9.0 does (you can also have all the other versions). Lots of additional keyboard shortcuts and mouse control via scrollwheel, etc. 2. Speed improvements. The core PDF decoding engine has been made faster. 3. Much faster JBig2 decoding. We wrote a JBig2 decoder because this has become an increasingly common way to compress image data in PDF files. We released version 1.0 under a BSD license – it has proved very popular (indeed several of our competitors use it). But it was a bit slow, so we have made it much faster. And I am afraid it is under a commercial license, so only we are using version 2. 4. Print improvements. 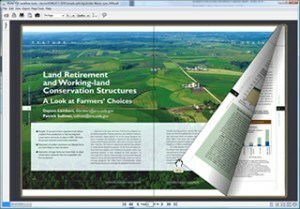 The core printing functionality and the access in the Viewer has been overhauled. You can now preview pages, access default printers, set default printers, add listeners and lots more. 5. New Truetype font engine. We got fed up of Truetype fonts not displaying correctly if they used font commands so we wrote our own font parser to correct this. The difference is especially noticeable on Chinese and other non-English fonts which seem to make extensive use of font programs. 6. Much better documentation. The support site has been overhauled and organised into categories as well. Have a look at http://www.idrsolutions.com/java-pdf-library-support/. 7. 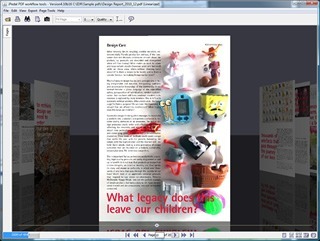 JavaME version of the Viewer. We have produced a reduced function version of the viewer for ME. That’s my top features – what do you think?